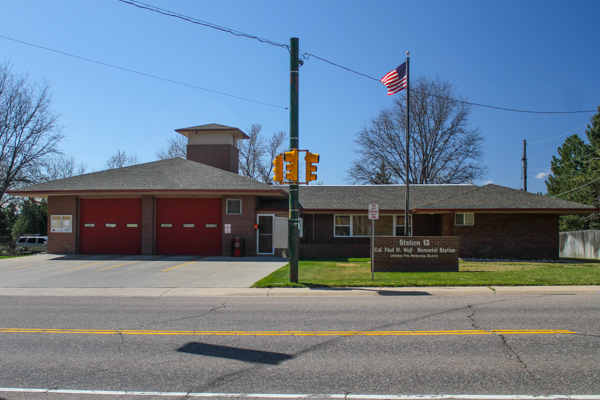 Fire Station 13 was located at 6290 W. Coal Mine Rd, built in 1967 as Station 3 and remodeled in 2009. 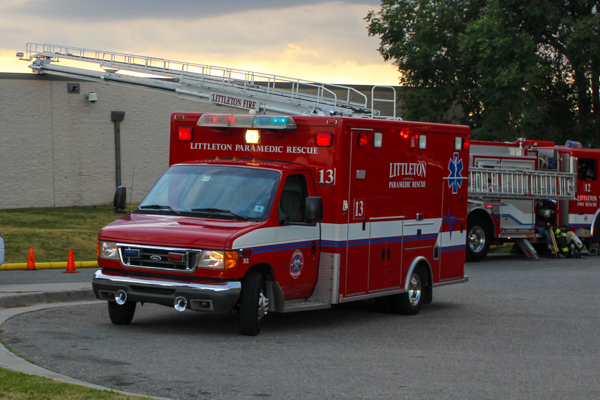 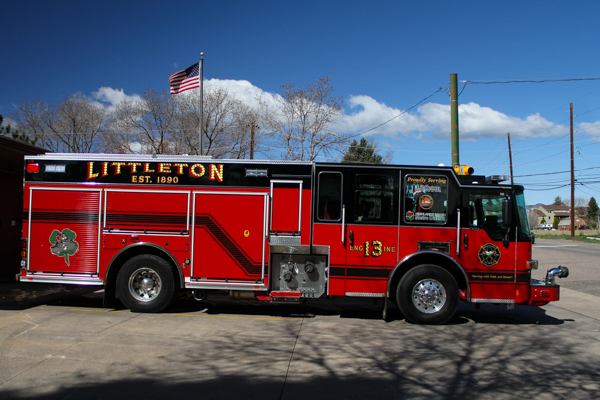 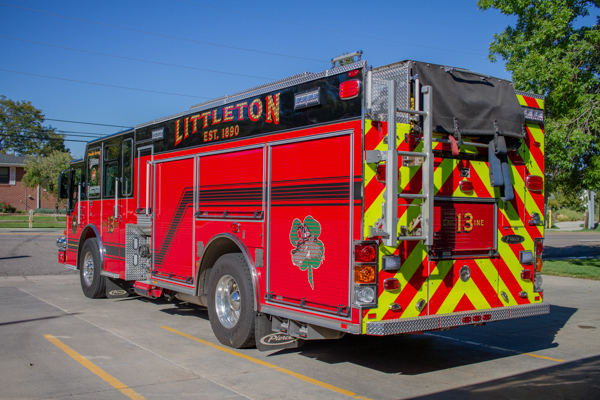 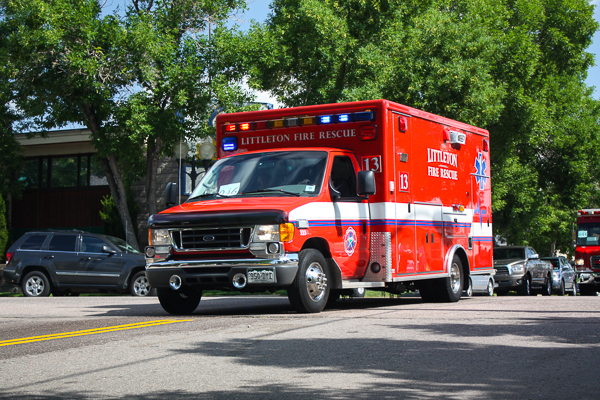 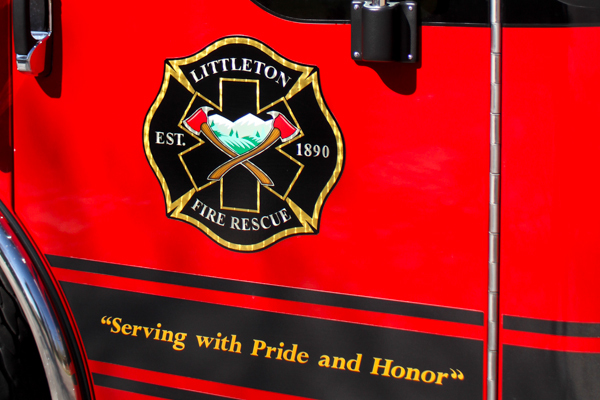 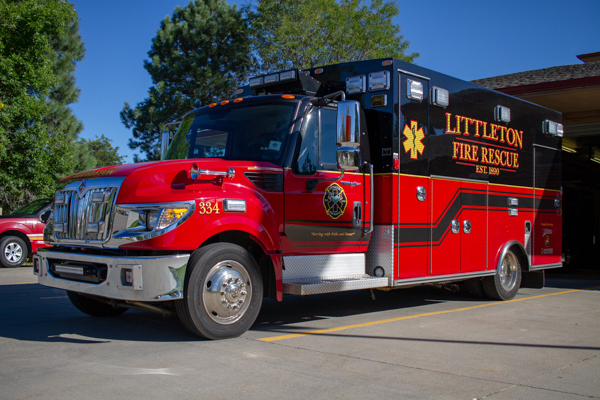 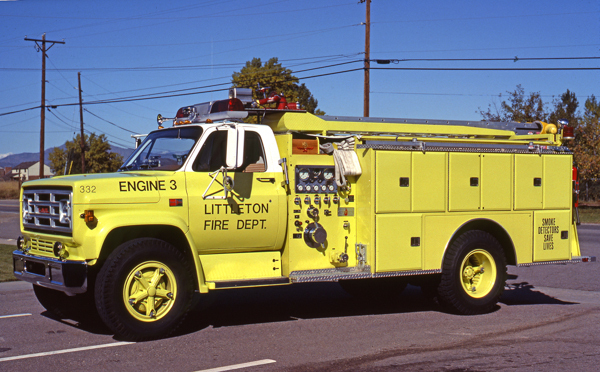 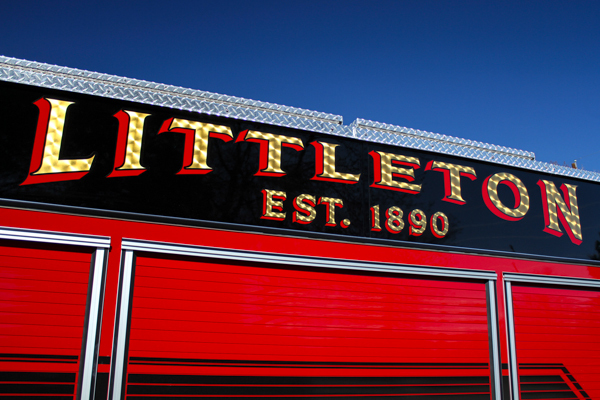 Station 13 was located on the west side of Littleton’s Fire District in Jefferson County, and part of the Littleton Fire Protection District. 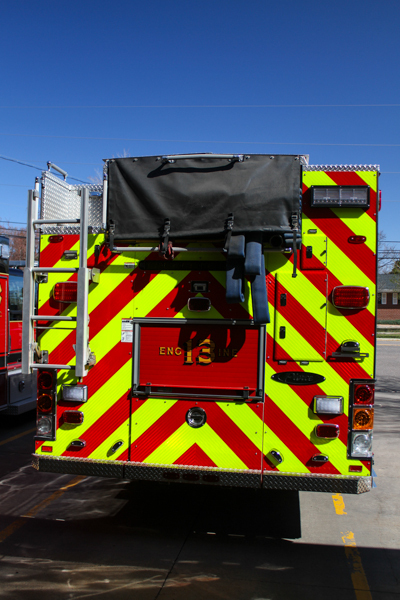 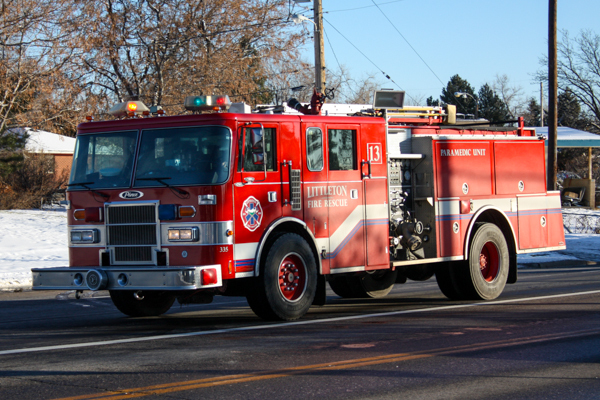 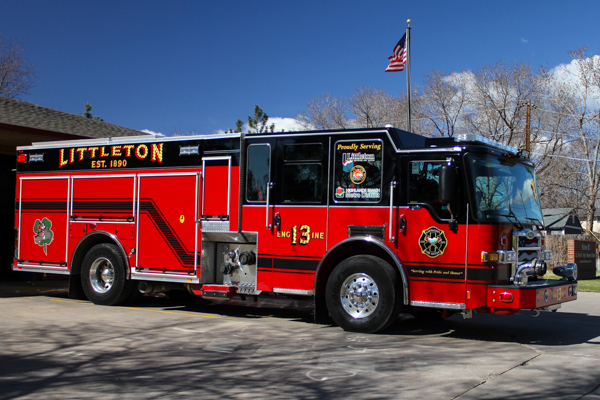 Station 13 covered a large area of unincorporated Jefferson County, Columbine, and Columbine Valley. 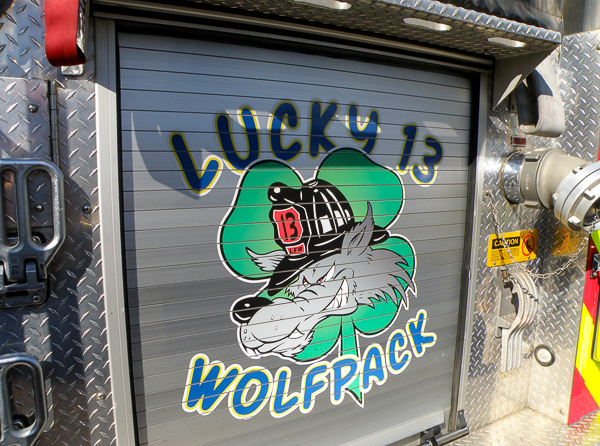 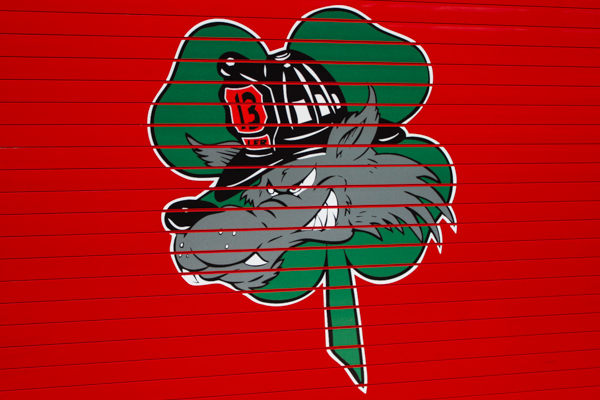 Station 13’s motto was the “Wolf Pack” named after a long time Littleton Fire Protection District Board Member Paul Wolf. 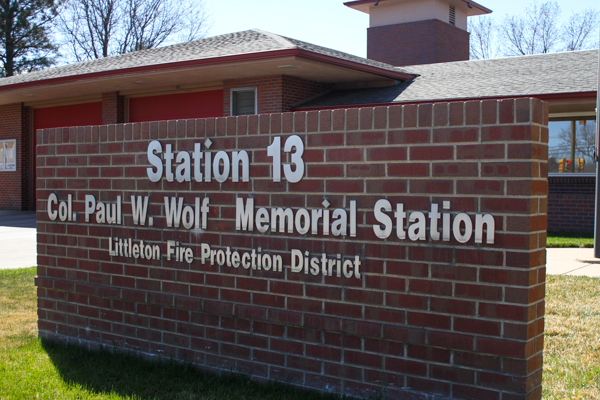 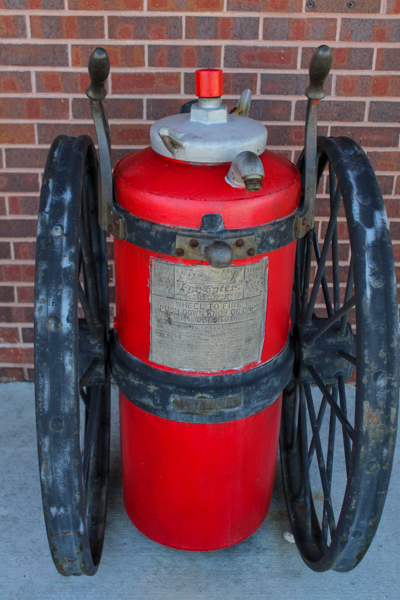 This station became South Metro Fire Rescue Station 13. 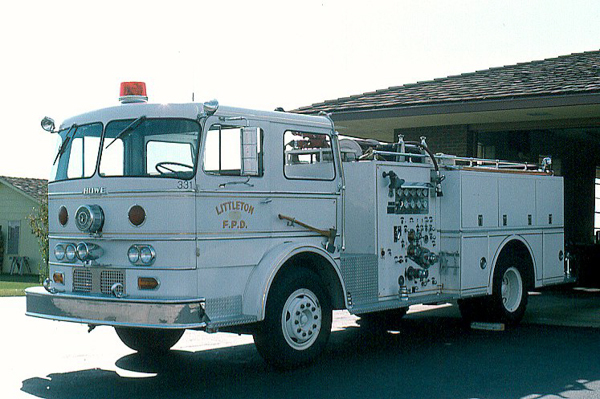 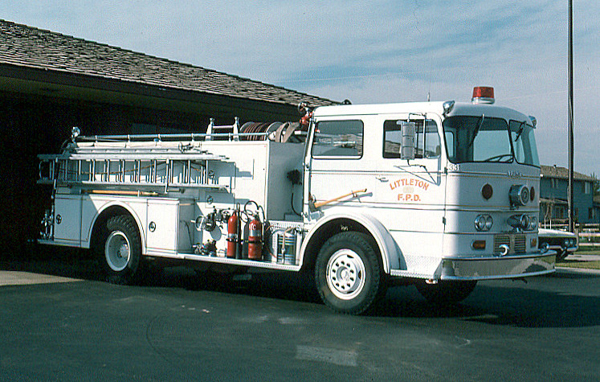 Engine 3 (331) 1965 Howe / Duplex. 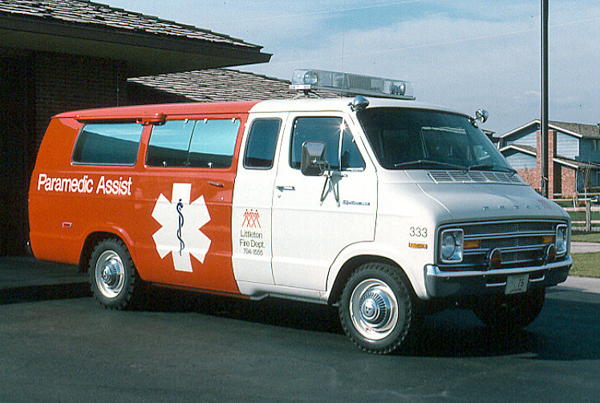 Rescue 3 (333) 1974 Dodge Van. 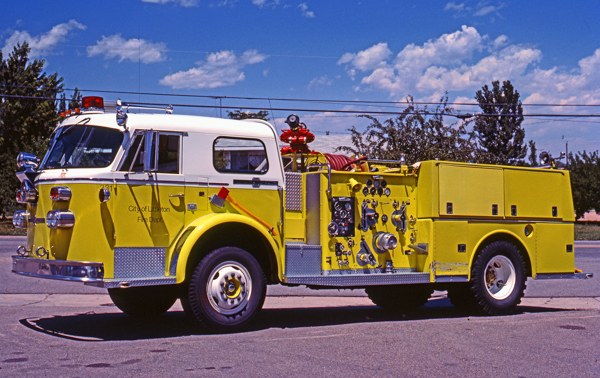 Engine 3 (331) 1969 American LaFrance 900. 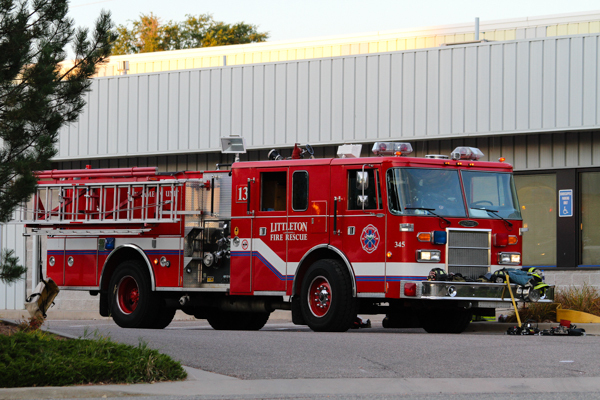 Engine 3 (332) 1982 GMC (T17D) / Sutphen. 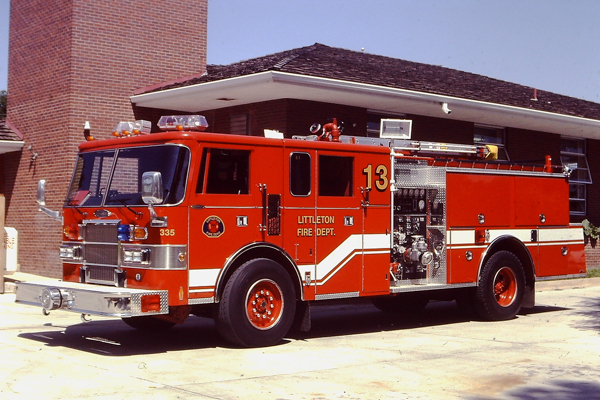 Engine 13 (335) 1992 Pierce Lance 500 gallon water tank / 1250 gpm pump, also ran as Engine 11, Engine 12 & Engine 19. 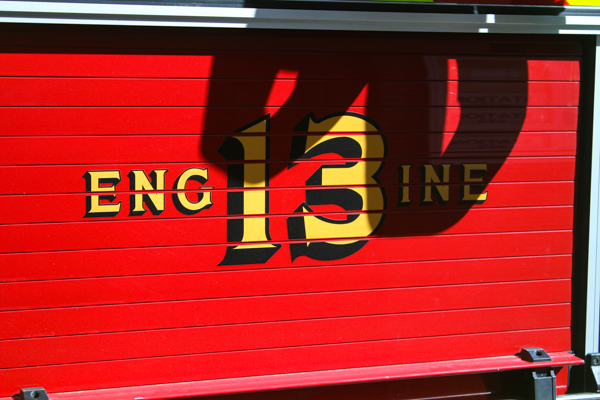 Engine 13 (345) Pierce Lance, also ran as Engine 14 & Engine 15. 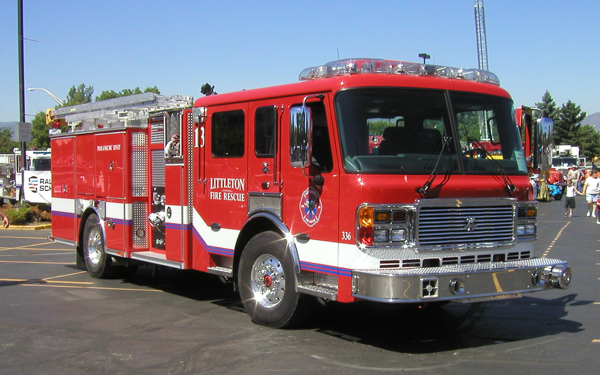 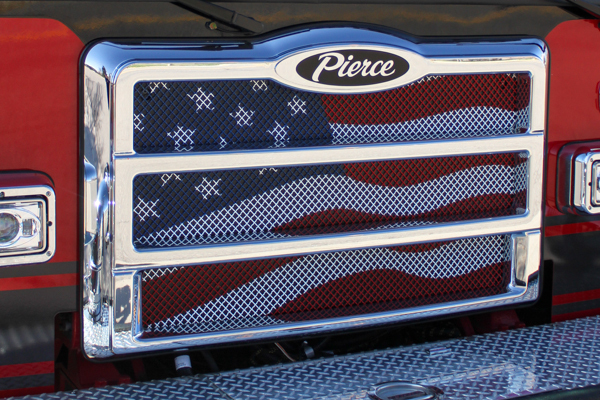 Engine 13 (336) 2005 American LaFrance Eagle 500 gallon water tank / 1500 gpm pump. 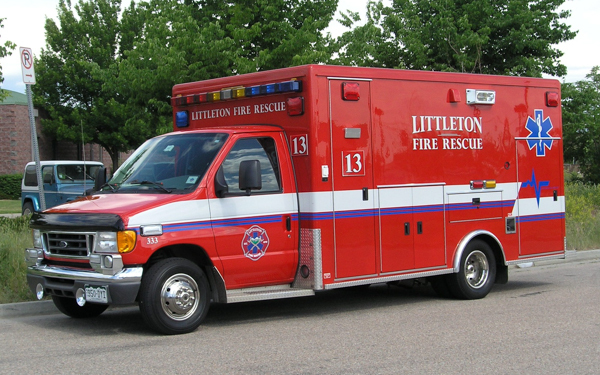 Medic 13 (332) Ford E-Series / McCoy Miller. 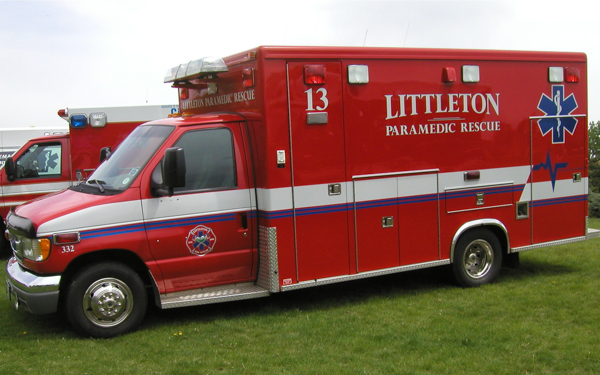 Medic 13 (333) 2006 Ford E-Series / McCoy Miller (10196), also ran as Medic 11 & Medic 17. 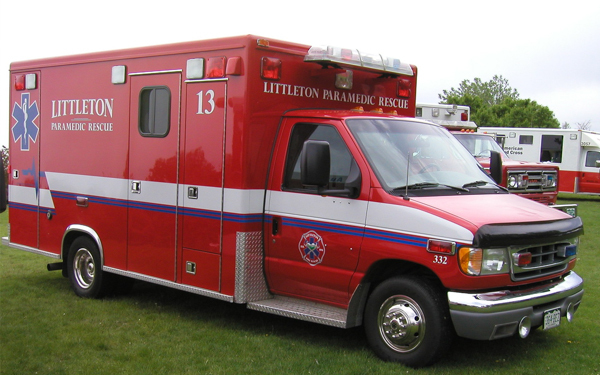 Medic 13 (312) 2003 Ford E-Series / McCoy Miller, also ran as Medic 11 & Medic 16. 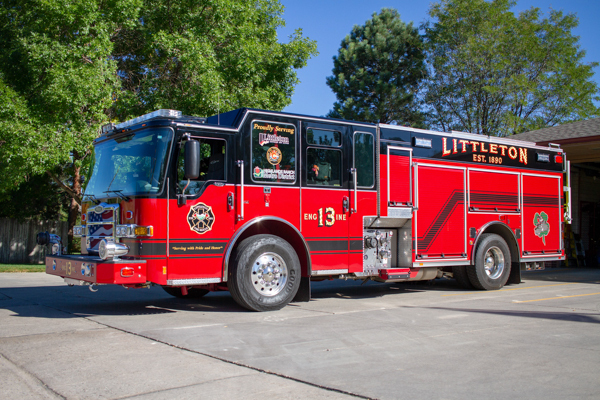 Engine 13 (337) 2017 Pierce Dash CF PUC (30205) 650 gallon water tank / 1500 gpm pump with foam (Husky), became South Metro Fire Rescue Engine 13. 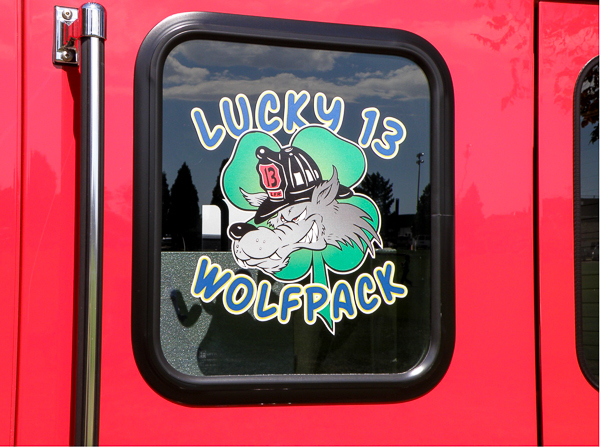 Medic 13 (334) 2012 International TerraStar / Braun, became South Metro Fire Rescue Medic 13.